I’ve been dying for coffee (see my last post), but not really loving the flavor of a regular cup of joe lately. Instead, I’ve been rotating through these three coffee recipes. They are all equally tasty, but very different. I have a love/hate relationship with coffee that dates back to my need for caffeine and my insatiable heart burn. Sometimes I kick coffee and other times I could inject it. Yes, this sounds disgusting, and caffeine-spiked caffeine isn’t for everyone. But, the buzz you’ll get from this drink is 100% guaranteed. I think the fizzy coffee is interesting, it tastes like a chocolate coke. Add espresso slowly. It will bubble and fizz, so be gentle. This drink is a pretty basic coffee shop favorite, but it seems a little too fancy to make at home. I assure you it’s not. In my opinion, my at home version tastes better because I can tweak it to my liking. Steam milk in coffee cup. If you don’t have a milk steamer, try this microwave recipe from thekitchn.com. If you haven’t already heard of this drink; you will. It started as part of a diet and has recently become a hot topic of conversation. Butter in coffee sounds gross, but it gives the drink a really creamy taste. If made correctly the drink tastes kinda like a Mounds bar. Pour all ingredients into a blender, mix until blended. Serve in a coffee cup. I love mixing it up when it comes to coffee drinks and I enjoy having something fun to make when friends come over. Do you have a coffee drink you love? Please share. I’d love to try something new! Espresso over sweetened condensed milk, or my healthier daily coffee as of late, coffee with hazelnut milk. Yum! 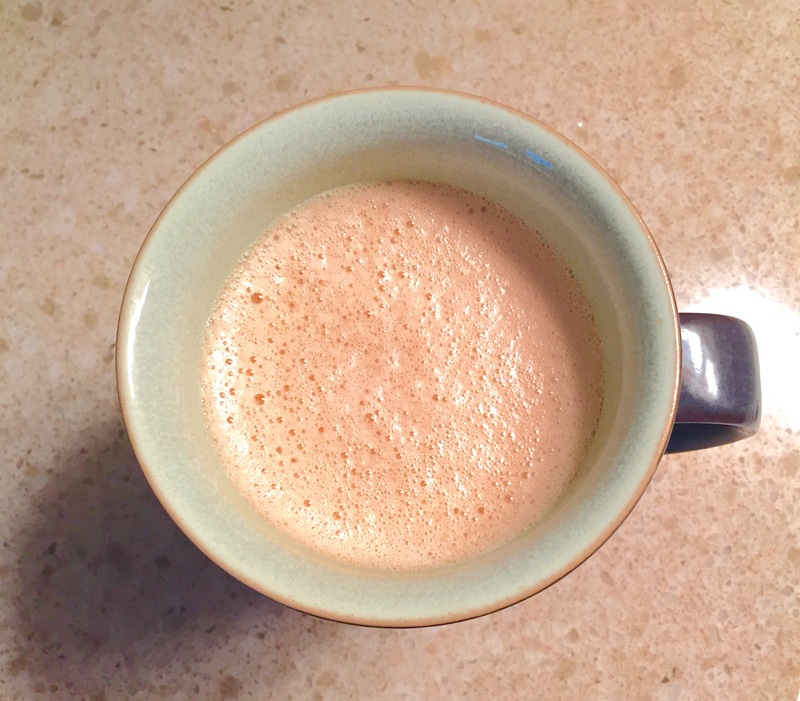 I tried the bulletproof coffee the other day and really loved it! I’m not one for fancy coffee drinks, usually. I like mine with milk and a tiny droplet of sugar (I use coconut sugar) most days!